Don't RUIN your screen! Many people have found out the hard way that cleaning a delicate screen on a flat screen TV, LED display, laptop or on any other expensive electronics can be a risky proposition as many cheaper screen cleaners on the market promise a streak and scratch free finish, but in many cases fail to deliver on their promise. Screen Mom has the track record for delivering on this promise of no streaks, no scratches, no smudges or fingerprints when used as directed on your screen. Use a proven solution to bring back that clean screen. 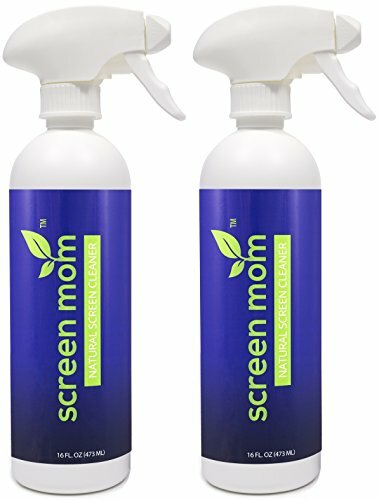 Find out why Screen Mom is the first choice for screen cleaning in homes, schools, camera studios, cruise lines, hotels, computer repair shops, hospitals, and many other places. NO SCRATCHES - Why risk scratching your expensive new TV or laptop screen with a cheap screen cleaner. If you have any questions about this product by Screen Mom, contact us by completing and submitting the form below. If you are looking for a specif part number, please include it with your message.